South Africa to double up on investment in Congo’s Inga 3 dam – a risky move? (Bloomberg) – South Africa is mulling committing to doubling the amount of electricity it will buy from a proposed multibillion-dollar hydro power plant in the Democratic Republic of Congo. Increasing the amount of electricity that South Africa will buy has become a linchpin for the companies seeking to build and operate the 11,000-megawatt facility. Congo in October named Chinese and Spanish groups as co-developers of the plant, which could cost as much as $18bn including transmission lines. South Africa committed to purchasing 2,500 megawatts from the dam, known as Inga 3, in a 2013 treaty between the two countries. 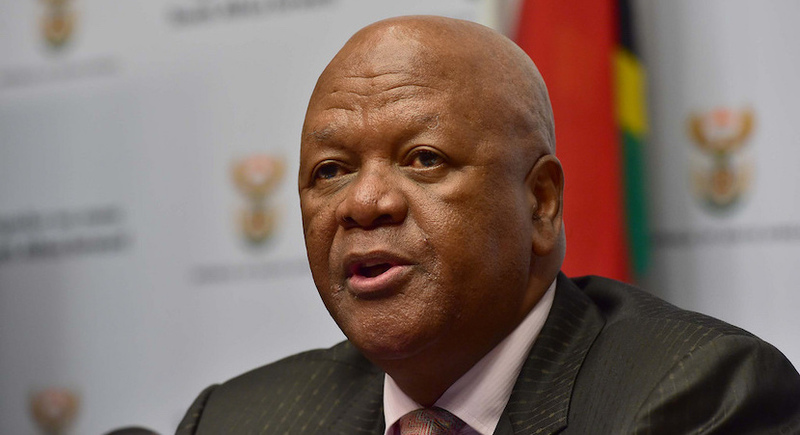 In December, South African Energy Minister Jeff Radebe notified the Congolese authorities of his government’s willingness to increase the amount it will purchase. “I wish to indicate South Africa’s interest to procure additional capacity of 2,500 megawatts over and above that which was committed under the treaty,” Radebe said in a Dec. 19 letter to Bruno Kapandji, who heads Congo’s Agency for the Development and Promotion of Grand Inga. The letter, seen by Bloomberg, was verified by the agency. The plan for South Africa to double future off-take from the dam comes as its state-owned power company, Eskom Holdings SOC Ltd., struggles to emerge from growing debt accrued from building new plants. Demand for electricity has declined as growth in Africa’s most industrialised economy has slowed and some consumers now generate their own electricity. Spokeswomen for the Department of Energy and minister Radebe said they couldn’t immediately comment. The partnership of Chinese and Spanish companies invited by Congo to co-develop the project includes China Three Gorges Corp. and State Grid International Development Ltd., and Madrid-based AEE Power Holdings SL. The companies submitted their joint bid in November. South Africa increasing its off-take to 5,000 megawatts would be “critical” to realising Inga 3’s ambitions, according to a presentation they gave to the African Development Bank in July. In even the most optimistic forecasts, the plant won’t be fully operational until the late 2020s, according to a timeline included in the companies’ bid. Finalising an agreement for 5,000 megawatts will be subject to conditions including South Africa securing buyers for some of this electricity from within the Southern African Power Pool before the end of this year, according to Radebe’s letter. The SAPP is an initiative between regional electricity utilities that seeks to increase accessibility to power. The necessary cabinet approvals for the agreement are expected by the end of the first quarter, Radebe said. The tariff should be no more than $30 per megawatt-hour, which excludes transmission costs, according to the letter. Power lines will need to span multiple borders in order to reach South Africa about 3,000 kilometres away.